What we generally think of as diamonds, the largely clear, glass-like precious stones that have been many a girl’s best friend are actually white diamonds. Although not actually white, of course, this is the color name used for all clear stones in the world of jewelry. Diamonds come in a surprisingly wide range of colors, from white, through yellow, brown, red, green, blue and all the way to black. But how do these polar opposites of the color scale match-up in terms of availability and quality, and how does the grading of each differ? The classic of the precious stone family, eternal, visually stunning and instantly recognizable, white diamonds have long been considered the king (or queen) of all jewels. White diamonds are graded on a scale peculiar to white or near white stones, which takes into account the 4Cs of diamond grading – Color, Cut, Clarity and Carat weight. Unlike colored stones such as rubies, emeralds and sapphires, the less color in a white diamond, the more desirable it is considered to be, with color graded on a scale from D to Z. A pure white, colorless diamond would be graded D on the scale, and such examples are incredibly rare. Most diamonds produced fall in the I or J part of the scale, with any higher a letter than this usually indicating the presence of yellow within the stone which can be detected by the naked eye, rather than with a 10x loupe as is required for better quality stones. The colors that appear in white diamonds are caused by a variety of trace elements during the formation period of the diamond. This process can take up to 3 billion years, and the earth contains many different minerals and other materials, all of which can influence the color of a diamond. Yellow, the most common diamonds that aren’t colorless are created due to nitrogen being present in the crystal lattice of the diamond, the more nitrogen, the deeper the color, until the stone has a distinct brown color. Boron being present causes blue diamonds, green are produced due to irradiation (exposure to radiation) and red by the crystal lattice of the diamond being deformed during formation. It makes sense that the fewer impurities in a diamond, the more desirable and valuable it will be, but this isn’t always the case. Red diamonds are the rarest of the colors, and good examples can fetch very high prices, despite being technically flawed. Although they will always have a special place in modern society, in part due to good advertising it much be said, white diamonds are far from exceptional in the overall scheme of precious stones. However, true colorless diamonds are exceptional, and it is these stones which will drive our fascination with this jewelry royalty. In terms of the rarity scale of colored diamonds, black sits squarely in the middle of the table. Neither common nor so rare as to be the subject of great demand from dealers, black diamonds often get overlooked and, although seeing something of a surge in popularity in recent years, have become something of a niche selection for designers and buyers. This increased popularity has also led to sharp increases in price for black diamonds, although they have yet to threaten white diamond prices on the open market. Unlike other colored diamonds, which rely on the presence of impurities to create their distinctive colors, black diamonds appear black because of the many inclusions of graphite they contain, which prevents the light that enters from being effectively reflected back to the eye. Some presence of trace elements can be found, such as carbon, but it is overwhelmingly the graphite clusters which give black diamonds their name. Because of the relative ease with which black diamonds can be created, true natural examples are referred to as Natural Fancy Black diamonds, and are by far the most desirable black diamonds available. 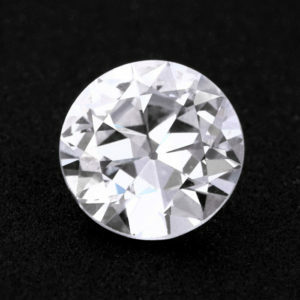 Poor quality, otherwise unusable white diamonds which have many inclusions but which do not create any definitive or desirable color can be heat treated to make them become black. 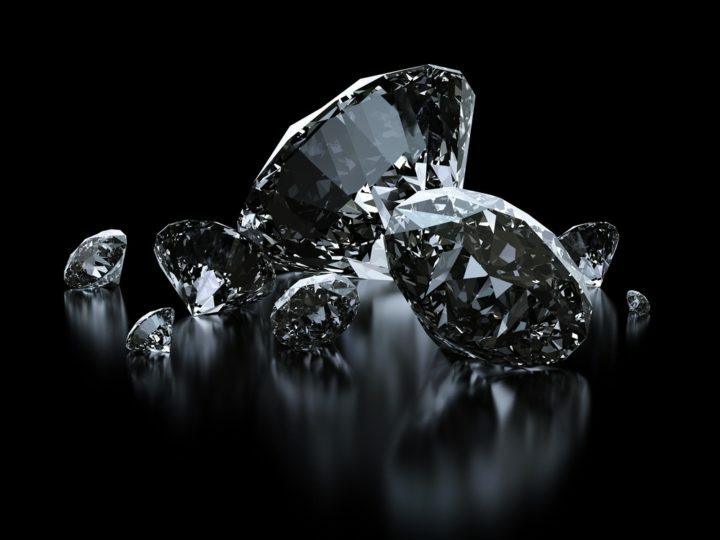 Although diamonds, the quality remains poor, despite most of the problems being hidden by the heat treatment. 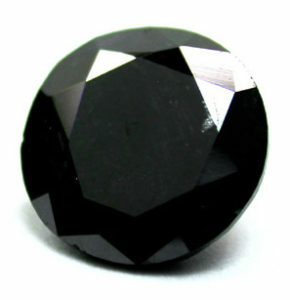 As an example, heated black diamonds are worth about 1/10th of the equivalent carat weight Natural Fancy Black diamond. There are no shades to a black diamond, unlike other colors, if a diamond is classed as black, then that’s all it needs to be described as such. There is no dark grey or other shades which black diamonds can be graded as, black is black. What makes black diamonds quite unusual is that they are predominantly found in non-traditional diamond mining areas. Brazil and Central Africa are the primary locations for mining black diamonds, areas in which white diamonds are rarely, if ever, found. A good quality Natural Fancy Black diamond is quite beautiful to behold, and is a terribly underrated stone indeed. It may be a fact that settings containing black diamonds need to be very well thought out, but that leads to a further question of why would anybody bother to use such an exquisite thing if they weren’t going to give it the respect it deserves?